The Kalaparva: Commentary: Modern day Gurukul: Virtual or Real? Modern day Gurukul: Virtual or Real? 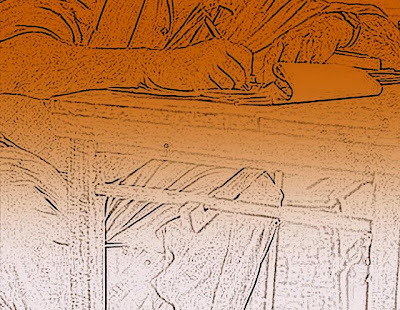 "e-learning" , a corporate vernacular that finds relevance at most in the academia world has spilled over into the "Karnataka Sangeetham" space as well. While traditionalists adhere to conventional teaching methods to date, many have accepted the changing dynamics in the learning space. Makes one wonder if Guru-Shishya Parampara is relevant in this day and age. Although, learning music online or over the phone may be a "make-shift" arrangement to maintain continuity in learning, the prospects of it becoming a viable alternative to regular learning is distant. Rewind two decades: The feel and flavor of getting to music class was inherently contrasting. We traveled miles in order to train under the right Guru. And, there were the blessed ones who were fortunate enough to find a good teacher in one's vicinity. They would walk to the teachers' homes lugging music notebooks after school. However, with the complexities in today's world where the Guru and the Shishya both adorn several hats, it is nearly impossible for both to devote exclusive time for in-person classes. Students have been hence increasingly opting in for web-based lessons. Digitization and modern technology aided teaching does suggest a paradigm shift in the good ol' paatu class. The present electronic age and modern techniques definitely do enhance teaching in the music space. Students get a better exposure on the "how and why" of learning a particular composition. Today, eminent artistes conduct lecture demonstrations for an audience ranging from novices to the proficient, even the uninitiated. There is also a wealth of knowledge on the internet. 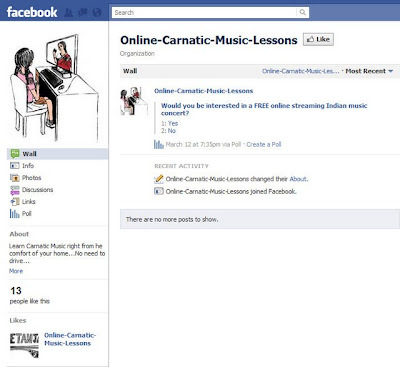 One can learn compositions online, upload and share their videos, retrieve notations, find Sahityam meanings et al. Unlike the olden days when a single cassette could preserve only an hour of recording (even that corrupts over years), today's sophisticated recording technology has repository capacity that can literally retain everything you learnt from scratch to date. There are interactive platforms like forums where students can share, discuss and debate on a wide variety of topics, forms of music, cultural influences, favorite artistes and their bani and so on. The flip side of such abundance of knowledge is that it can be overwhelming and confusing. Students are exposed to information at a learning stage when they neither have the maturity nor the capability of assimilating it. Spoilt for choice, students might miss out on the experience of attending live concerts, when it is available later on Youtube at the click of a button. Are we missing out on the joy of collecting and preserving favorite concerts/compositions because everything is easily accessible? Can savoring gramophone records of classics by stalwarts like Maduramani Iyer, MS, Semmangudi be described in words! Compared with a human instructor, technology is less adaptive. In a classroom, an instructor can adjust his delivery if he feels that a concept was not communicated clearly. Online, this type of adjustment is difficult. There is another limitation; the level of interaction between the instructor and student in e-learning is definitely not sufficient. Although, learning music online or over the phone may be a "make-shift" arrangement to maintain continuity in learning, the prospects of it becoming a viable alternative to regular learning is distant. There is, however, no denying the fact it can supplement the knowledge and skill acquired through conventional systems. When asked if modern learning techniques are as effective or can be a substitution to Gurukulavasam, Neyveli Santhana Gopalan puts it beautifully "Oru ragatthodiya pokka palukki palukki ullukullendu sandosha pattu, oru oru line aa rasikka, ellatiyum setthu nambala oru paramananda nilai ku kondu poi vidanum na oru guru odiya anugraham, pakkartulerndu avaroda tunai, guidance nichyama venum. " (To enjoy every nuance and finesse of a raga, to experience inner joy in every line and to take us to a sublime state of Bhakti, a Guru's blessing, physical presence and guidance are quintessential). For the experience through online media is "virtual" not "real"! Today's technological advance can bring anything & everything you want virtually at your doorstep ! but the knowledge of values which unconsiciously transmits from a Guru to a Shishya which is a guiding light and brings out an essence thru the life cannot be synthesized ! The quote by Sri Neyveli Santhana Gopalan is very apt.